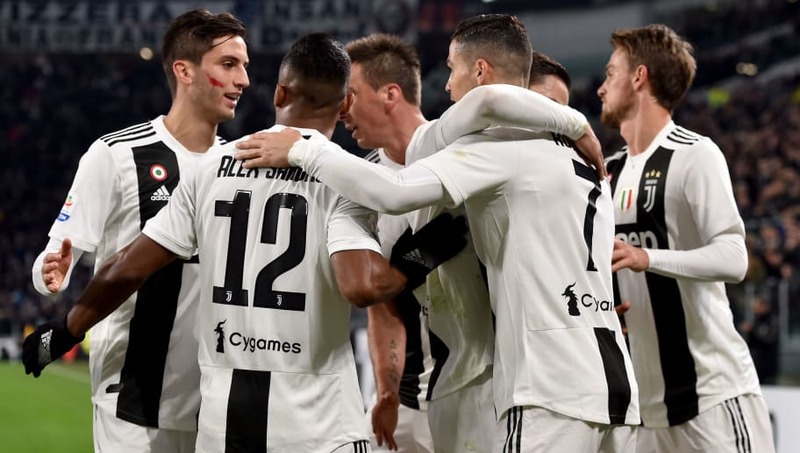 ​Juventus entertain Valencia on Tuesday, knowing they can secure a spot in the Champions League knockout stages as long as they avoid defeat. La Vecchia Signora surprisingly squandered a lead to lose 2-1 against Manchester United but have won both their league games since that defeat, scoring four times and conceding none in the process. Valencia, meanwhile, have five points in Group H and travel to Turin knowing a win will set up a massive clash with United in December. Emre Can and Sami Khedira are both absent through injury, so Miralem Pjanic and Rodrigo Bentancur are likely to start in midfield. Leonardo Spinazzola is ineligible and Federico Bernardeschi is a doubt. Both Denis Cheryshev and Cristiano Piccini are both doubts and neither are expected to feature, while Dani Parejo, Jose Gaya and Carlos Soler will miss the final group stage game if they are booked. Juventus and Valencia have only ever played each other once, earlier this season. Cristiano Ronaldo was sent off, reducing the former Real Madrid forward to tears, but two Pjanic penalties ensured the Serie A champions left Spain with three points. Valencia were gifted a penalty in stoppage time but Parejo was denied by Wojciech Szczesny. Juventus returned from the international break and put in a typical performance against SPAL on Saturday, winning 2-0 thanks to goals from Ronaldo and Mario Mandzukic. They had previously beaten Milan at San Siro after their United calamity. Valencia triumphed in their most recent Champions League outing, triumphing 3-1 over Young Boys, and swept Rayo Vallecano aside 3-0 as Santi Mina bagged a brace and Kevin Gameiro also got on the scoresheet. While Valencia have some exciting players and have the potential to make things tricky for Juventus, this should really be another standard victory for the Italian giants. With their defence notoriously strong, expect Juve to nab a goal or two and sit comfortably on their lead.